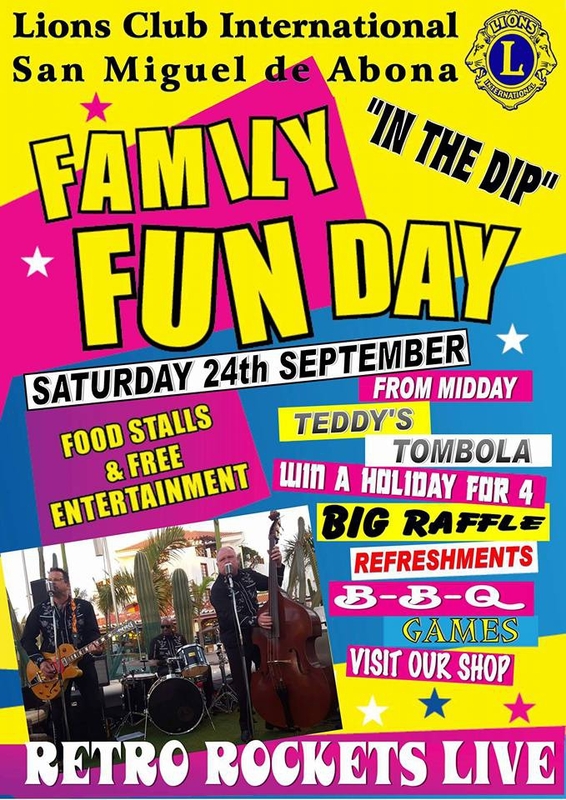 Roll up Roll up for a family fun day at the Lions Club with some good old fashioned fun including a tombola, raffles, games, some live entertainment from the Retro Rockets and a BBQ and refreshments. Join us at the Lions club in San Miguel de Abona on Saturday 24th September from Midday. There will be lots going on all day and a friendly family atmosphere.